Cambridge Analytica company inundated in Facebook’s data privacy scandal so its British parent SCL Elections Ltd is closing the company immediately after getting into the famous Facebook data fiasco. The company was accused of harvesting personal data of Facebook users. This Wednesday, the company revealed that Cambridge Analytica and its British parent SCL Elections are shutting down all the offices including USA and UK after facing an unexpected loss in the business. They lost their clients and money after they got into mounting legal fees results from the data privacy controversy and is almost bankrupt. . The company has been accused of t using the personal data of up to 87 million Facebook users to build campaign models for the US elections.. Earlier Cambridge Analytica was alleged to have mishandled private data of over 50 million Facebook profiles. However, when Facebook CEO Mark Zuckerberg testified by publishing a full page of apologies ads in British and U.S newspaper, the number hiked to 87 million users. This controversy is still making headlines of all the influential newspapers and media. Things went bad, when Senate commission called on CEO Mark Zuckerberg to testify their deeds and also as they wanted to know data privacy policies for future. With all the given past events, this repercussion was more than obvious. With all the rage and feeling of being betrayed across the globe, this move was expected to happen sooner or later. With all these debacles, there is still a question that needs to be answered. Nobody is sure that whether the Russian intelligence used the data that was collected by Cambridge Analytica from Facebook to aid Trump’s campaign. Moreover, the users are anxious to know where and to what extent, the data has been used. Now, everything rests on Special Counsel Robert Mueller’s investigation. So, let see whether we’re going to get some answers to get closure or has the chapter closed already? Facebook is rising to new heights in image recognition by using the Instagram images as a clandestine magical sword. HOW IS INSTAGRAM HELPING FACEBOOK? With all said and done, Facebook is looking forward to starting a new phase of development. 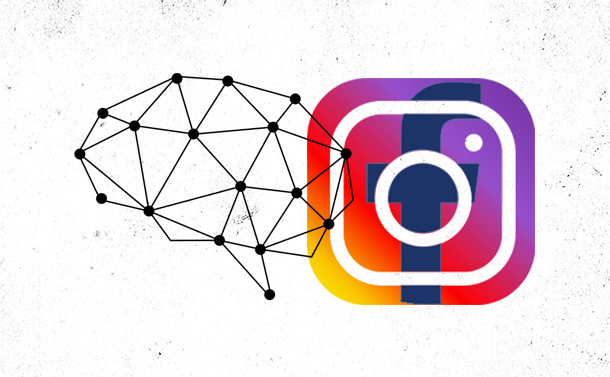 To claim the throne of building more sophisticated AI deep learning models, Facebook is using the stash of billions of images on Instagram. When you are researching on such a big scale where the biggest of the tests used 3.5 billion Instagram images spanning 17,000 hashtags, Facebook has lack of resources to validate the data so carefully. Unlike other image recognition benchmarks which depend on millions of photos that users have gone through, Facebook wanted to do it otherwise. The company had to search for methods to mop up what users have submitted and that too on a larger scale. WHAT CHALLENGES DID FACEBOOK FACE? Facebook recently shared the details in the F8 presentation that how the company used billions of public Instagram images that users uploaded by using hashtags. The company also mentioned how Facebook used the same photos to train their own image recognition models. The company used hundreds of trusted GPUs to analyze the accurate data. However, the approach didn’t provide the desired results so the company adopted deep learning models to beat industry benchmarks but they have only been able to achieve 85.4 % accuracy on ImageNet. If you’re an Instagram user and upload photos and put hashtags every now and then, you must know that it is not a rocket science. There is always a reason behind users putting specific hashtag. The main challenge that Facebook faced was assorting which image is relevant from billions of images. Well, the entire process of image recognition AI learning is quite interesting. However, due to its privacy implications Facebook is working on public data of Instagram images and not touching the private accounts. It is playing with fire again as users who post their images on Instagram are not aware that they are contributing to a database training for the deep learning models for a tech mega-corp.
As Facebook data mishandling scandal is in the limelight so the company is now concerned and working on self-preservation as well to avoid such scandals. Let’s see where this move takes the company’s future! Facebook Undergoes A Makeover, Announces New Features!